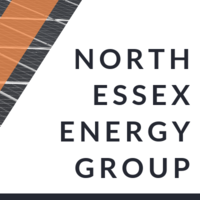 The North Essex Energy Group have commissioned Nautilus Associates Ltd to deliver an energy market study to identify new project opportunities for North Essex businesses. Bank Holiday Monday markets return to Promenade Park, Maldon. An opportunity to have your say on the proposal for an off-street parking order as set out below. Maldon District Council has submitted an ‘Expression of Interest’ (Friday 22 March) for a share of the Governments £675m Future High Streets Fund. 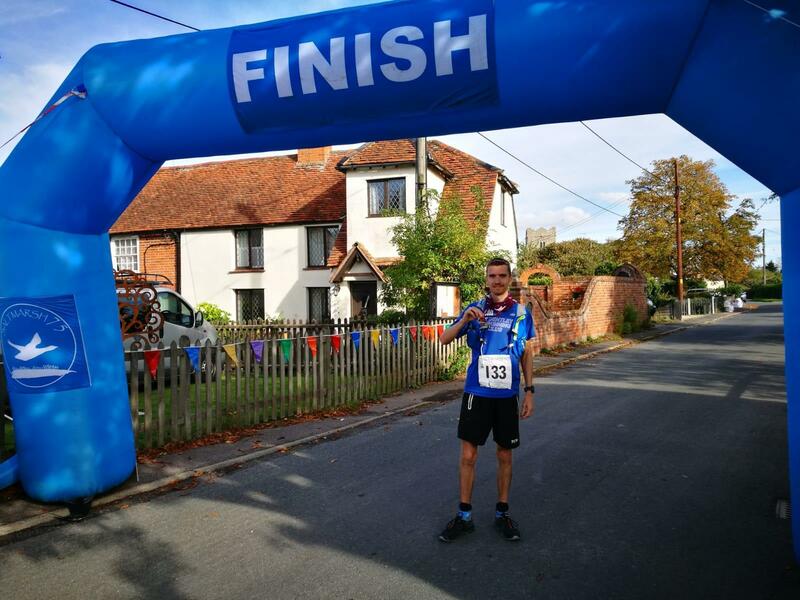 Entries are open for the Saltmarsh ultra-marathon and the Saltmarsh half-marathon, enabling more people than ever to discover the beauty of the Saltmarsh Coast. Notice is hereby given in accordance with Section 123(2A) of the Local Government Act 1972 that Maldon District Council (the “Council”) intends to dispose of an area of public open space being Drapers Farm, Sports Club, Goldhanger Road, Heybridge, Maldon, Essex. The area of open public space to be disposed of measures 70,000m2. The deadline to register to vote in local elections on 2 May is Friday 12 April. Sunday 24th February witnessed a new charity in the Maldon District “kick off” their first ever fund-raising event. A new pay-by-phone car parking service is coming to Maldon car parks saving motorists time and hassle. All 31 seats which make up Maldon District Council, together with all seats on each Parish/Town Council within the Maldon administrative area will be up for election in May. Maldon District Council will be increasing the Council Tax payable on properties which have been empty for a period of two years or more in a bid to encourage empty homes to be brought back into use. Maldon District Community Safety Partnership wants your views! Council staff and partner organisations have generously supported a Christmas appeal by Home-Start Essex, a Charity which supports families across the Maldon District. Maldon District Council through the livewell grant fund are supporting Abberton Rural Training (ART) for the 2019/20 period. The Council is looking to bring new and exciting events, family activities and concessions to the Maldon District. 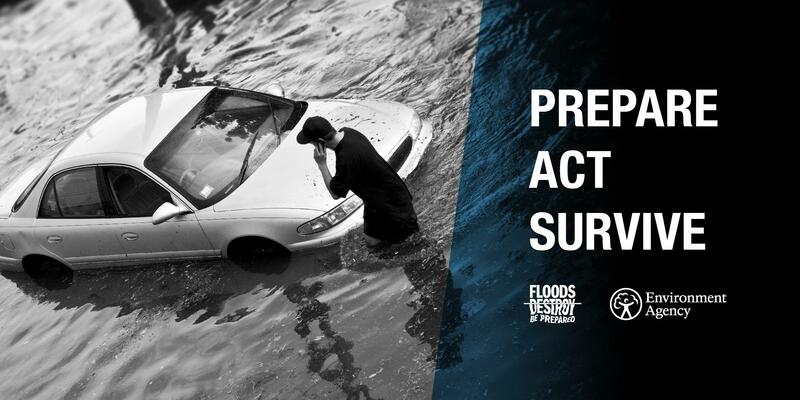 Maldon District Council is supporting the Environment Agency with their National Flood Action Campaign which launches today (29 November).and is urging residents to follow the campaign advice and #PrepareActSurvive. The winners of the 35th Maldon District Conservation & Design Awards have been announced. 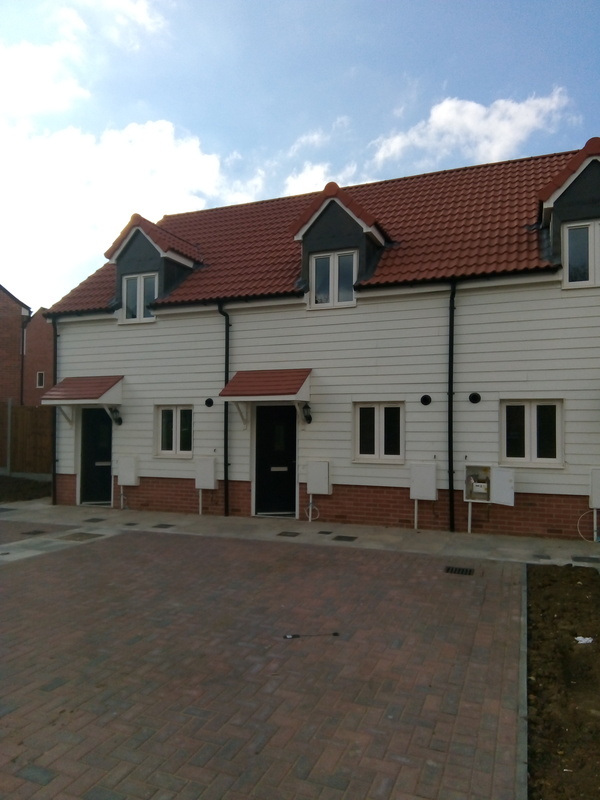 Two new developments, one in Heybridge and one in Burnham-on-Crouch will shortly be offering a number of homes for affordable rent and shared ownership. Free Town Centre Parking has been announced for Saturday 8 and 15 and Thursday 20 December. We would like your views on the draft Maldon District Homelessness and Housing Strategy. Rt. Hon. John Whittingdale OBE MP has joined over 500 other MPs to plant trees as part of the Queen’s Commonwealth Canopy, a network of forest conservation initiatives to mark Her Majesty's lifetime of service to the Commonwealth. Housebuilder Persimmon Homes, working alongside Maldon District Council and Estuary Housing Association, is currently developing a range of high quality properties for private sale, shared ownership and affordable rent at Sharpes Meadow, Broad Street Green Road, Heybridge. Year six of Saltmarsh75 - This year we welcomed the return of our regulars and veterans, along with a new crop of ‘saltmarshes’. 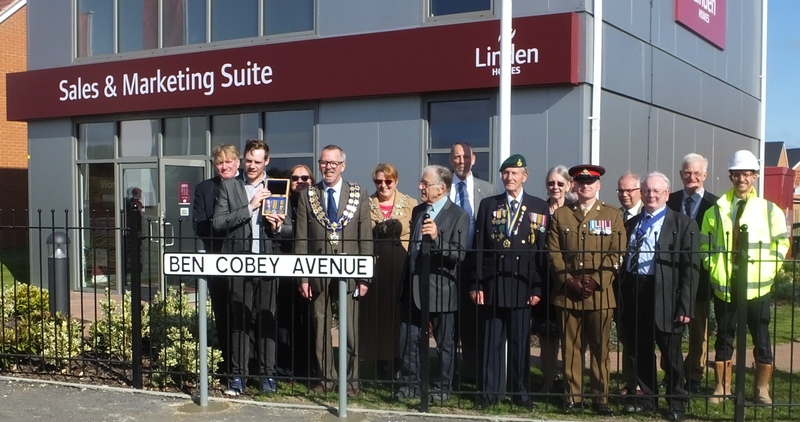 Town and District Councillors, supported by Linden Homes, hosted an official ‘Naming Ceremony’ for Ben Cobey on Thursday 4th October 2018 as a mark of respect and remembrance. Independent charity Crimestoppers is highlighting that children and young people across Essex are at risk of becoming involved with gangs and the violence and abuse that often follows. Many young people join gangs for protection or say that it makes them feel part of a family. It is not only young men. Young women are also recruited and routinely suffer sexual violence to ‘control’ them. Two drivers each face fines of £440 plus costs of £250 for littering. Staff at Maldon District Council have been nominated in three categories in the NHS Mid Essex Commissioning Group (CCG) ‘Marvels of Mid Awards’ which are being held on Thursday 27 September 2018. Landlords - are you ready for new licensing requirements coming into force on 1st October 2018? Maldon District Council is urging landlords of ‘Houses in Multiple Occupation’ (HMOs) to ensure that they are prepared for and legally compliant with new licensing requirements. They come into force on 1st October 2018. The creation of an Enterprise Centre for the Maldon District has taken a further step forward following the agreement by Members of the Council to progress the project to the next stage. An evening of jazz in the beautiful setting of Maldon's Promenade Park. The Grape, Grain and Gourmet evening event on 16th August 2018 in Promenade Park Maldon. Steel Solitary Soldiers’ have been placed in Maldon and Burnham to mark the start of the District Council’s commemoration of 100 years since the end of the First World War. Following the success of a four month trial Maldon District Council has confirmed a permanent change to its opening hours. On Friday 27th of July the Chairman of Maldon District Council, Councillor Henry Bass, hosted his Civic Reception at Stow Maries Great War Aerodrome. Nominations are now open for the 2018 livewell Maldon District Sports Awards. A free health and wellbeing clinic held at Maldon District Council offices is aiming to empower residents to make healthy lifestyle choices and to encourage residents to “live well”. 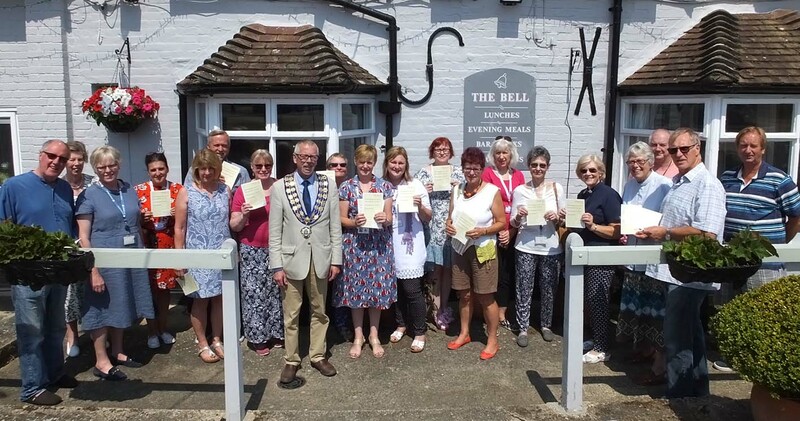 Congratulations to the team at the Burnham-On-Crouch & District Museum for bringing the Refill Essex campaign to Burnham. Fancy yourself as the next Banksy? Are you aged 11-18? Looking for something fun to do during the holidays? Sprytar and Maldon District Council will bring a revolutionary new app to the visitors of Promenade Park in Maldon. Saturday 21st July will see Burnham-on-Crouch parkrun celebrate its first Birthday and 52nd parkrun. A new project aimed at encouraging residents to participate in local activities in their community has been launched. On Sunday 1st July Promenade Park will again host the fantastic Maldon Motor Show. Keeping active is vital for our physical and mental wellbeing. 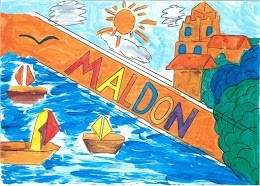 You can see all the Livewell activities and events available in the Maldon District at livewellcampaign.co.uk. Maldon District Council picked up a top national award for Design Excellence for the Maldon District Design Guide, produced by Maldon District Council and BDP. Last Saturday 2nd June 2018 VOLFEST ’18 celebrated all that is good about volunteering. Keeping active is vital for our physical and mental wellbeing and fundamental in tackling childhood and adult obesity. Maldon District Council is tightening regulations for vessels moored in the Blackwater to reduce pollution. The Maldon Beach Huts in Promenade Park were by far the most popular attraction for the Essex Big Weekend 2018 attracting over 15,000 applications. Maldon District Council would like your views on the creation of new Public Space Protection Orders (PSPO) regarding Dog Control across the District and in District parks and cemeteries. The Maldon District Design Guide has been shortlisted for the Planning Awards 2018 in the Placemaking category and the Award for Design Excellence. Essex County Fire and Rescue Service (ECFRS), supported by Maldon District Council held an evacuation training exercise on Tuesday 29 May at Hythe Quay, Maldon. 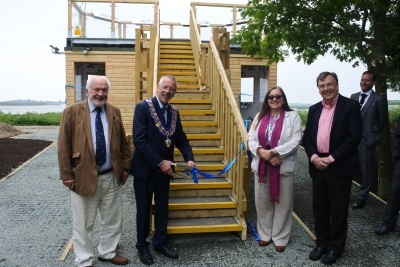 On Friday 25th May an event was held to open the Maldon Saltmarsh Coast Hub and celebrate all that has been achieved through the Council’s Dengie Gateway Project. Volunteers Week runs from 1st-7th June every year and is the national celebration of volunteering. Volunteers’ Week is a time to say thank you for the fantastic contribution volunteers make. Thousands of visitors flocked to Maldon to enjoy the sunshine during the first May bank holiday weekend. Dozens of drivers attended the #Drivewell event on Saturday 5th May at Maldon Fire Station. We are pleased to announce the launch of The Maldon Livewell Partnership Grant scheme for 2018-19. A celebration of all that is good about volunteering! Potential future leaders from Maldon Primary Schools visited the Maldon District Council Offices on 2 May 2018. A discreet and innovative support network for domestic abuse victims has been extended to the Maldon District. An e-cigarette shop in Maldon has become the first vape shop in the District to offer a stop smoking service to residents. Maldon District Council, Maldon in Bloom and Community Payback; working together to improve our open spaces. 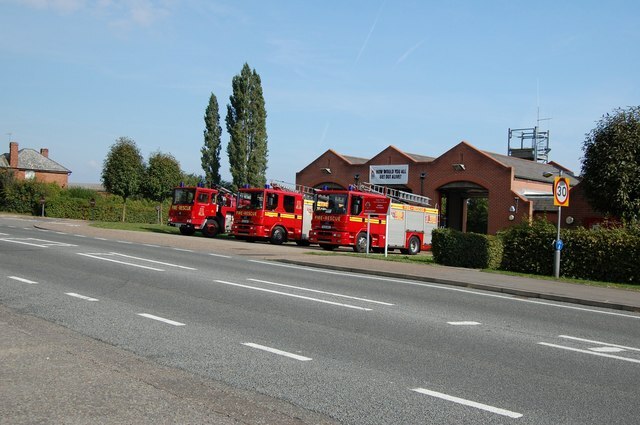 A new campaign to help young drivers stay safe and ‘drive well’ will launch in Maldon with a free car event on Saturday 5th May between 6:30pm and 11pm at Maldon Fire Station. 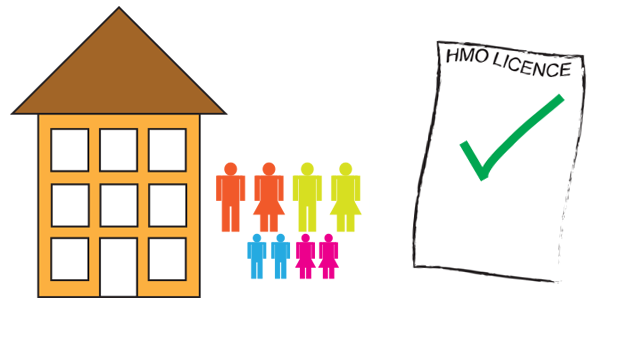 The Government has recently issued legislation which extends the mandatory licensing of Houses in Multiple Occupation (HMO) to all such premises with 5 or more occupants. Maldon named 25th best rural place to live. The 2018 Halifax Rural Quality of Life rankings reveal that Maldon District residents enjoy one of the best qualities of life in the UK. Maldon District businesses and entrepreneurs are invited to give their valued feedback on the need for an enterprise centre in Maldon District. Maldon District residents are now able to report hate crime incidents to specially trained Hate Crime Ambassadors. Maldon and Chelmsford to get additional 12 front line police officers. Waste collections returned to normal last week following disruption caused by the extreme weather at the beginning of March. Vulnerable victims of domestic abuse are to continue to benefit from increased support across Maldon District and the north-east Essex. 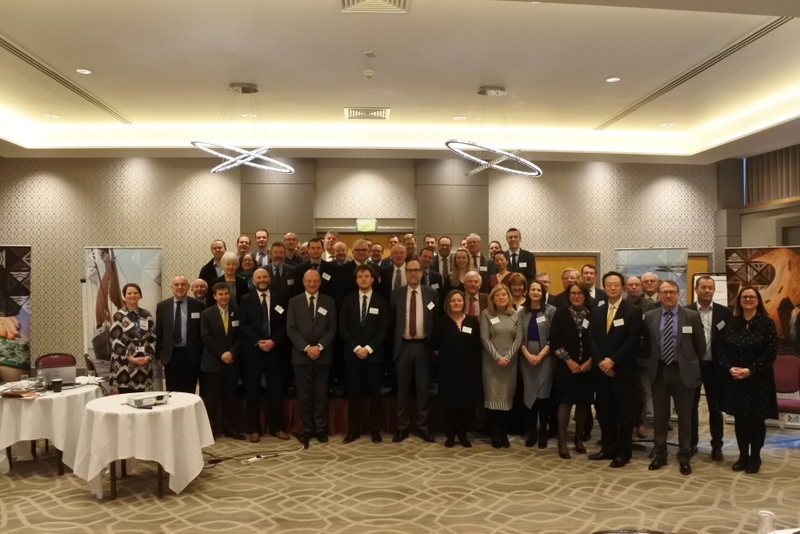 The Maldon District hosted this year’s New Nuclear Local Authority Group (NNLAG) Special Interest Group (SIG) Annual Conference. The next Maldon MAC is at Tesco Coffee Shop, Maldon on Thursday 2nd of August. On Thursday 2nd August the Maldon Multi-Agency Centre (MAC) will be at the Tesco Store in Maldon between 11am and 1pm, offering help and support all in one place. Online abuse of children and young people is present in over 60% of all cases of child sexual exploitation investigated by Essex Police. Maldon District Council appoints Nautilus Associates to undertake a detailed study into the creation and operation of a new enterprise centre. A limited number of waste collections remain outstanding. 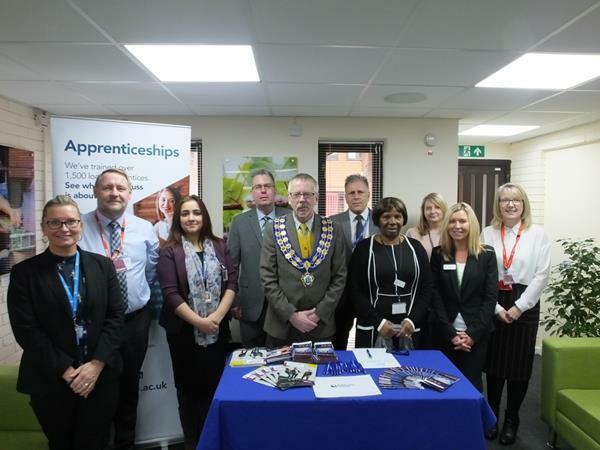 Cllr Henry Bass, Chairman of Maldon District Council, attended the first of a two-day event run by Jobcentre Plus on Tuesday 6th and Wednesday 7th March. Local landlords are being invited to a FREE event on Thursday 15 March at Maldon District Council Offices, Princes Road, Maldon. The event will run from 6.30pm – 8.00pm but booking is essential. Are you 18+ and interested in an apprenticeship or want to find out more about them? Are you a local employer who would like to discover the benefits apprenticeships can bring to your business? Gibbons Engineering Group wins Business of the Year at the Chairman’s Business Awards. Concerned for someone sleeping rough? If you are concerned for someone sleeping rough this winter you can send an alert to StreetLink via the StreetLink app or via http://streetlink.org.uk. Maldon District Council is to trial a revised opening time from March. They are being asked to take simple precautions following two cases of Paralytic Shellfish Poisoning, (PSP) in North Norfolk and Suffolk. Have you seen the new hoarding along the causeway? 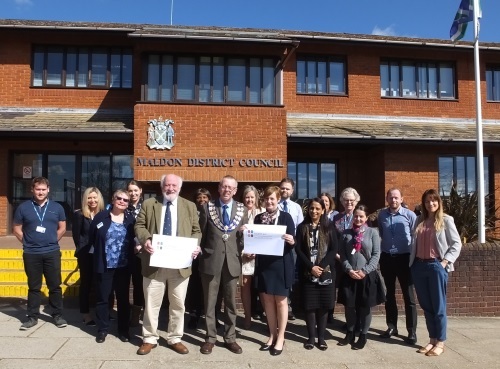 Maldon District Council pledges support for The Future of Essex: A united vision that will shape the future of Essex over the next two decades. The Council is looking for new and exciting events, family activities and concessions for ‘Summer in Maldon District 2018’. Maldon District Council is supporting the ACE Weight Management program by hosting community weigh in sessions at the Council Offices on a weekly basis. 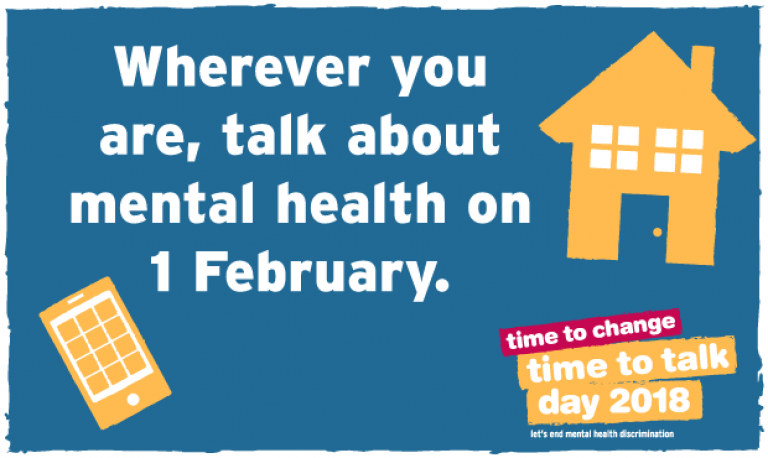 Thursday 1 February 2018 is “Time to Talk” day – and Maldon District Council is supporting the day by asking everyone to be more open about mental health – to talk, to listen, to change lives. Launch of Livewell in Maldon District! Last week saw the Maldon District launch of the new countywide livewell website. Two new electric vehicle charging points have been installed at the Council Offices, Princes Road, Maldon. The Council’s Countryside & Coast Team were proud to support Farleigh Hospice’s Event 2018 between 7th - 9th of January. Fancy a kick about on Monday night? ‘The FA's Just Play scheme’ is a football club with a difference, you turn up and "Just Play". Livewell . . . in Maldon District! To celebrate the launch of the new countywide livewell website, Maldon District Council is hosting a free health and wellbeing event on Friday 26 January at the Council Offices from 11am-2pm. 19 January 2018 is Essex Dementia Day, encouraging people to talk about Dementia and to help build dementia friendly communities across Essex and Maldon District. Another series of the popular Heritage Winter Talks has been organised by Maldon District Council. China General Nuclear Power Corporation (CGN) and EDF Energy submitted a planning application to Maldon District Council to carry out some early investigative works at the Bradwell site. Many people in the Maldon District are dog owners and the Council’s Community Protection Team work hard to support and enforce their responsible dog ownership. If your dog goes missing it can be very worrying. It is now a legal requirement to make sure your dog is microchipped. Maldon District Council is pleased to announce the signing of a 50 year lease to bring holiday and residential caravans back to Millfields, Burnham-on-Crouch. 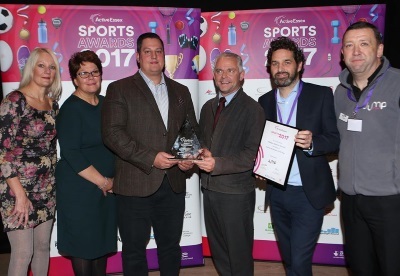 At an awards ceremony on 5th December Council staff proudly accepted the Active Work Place of the Year award from Active Essex. 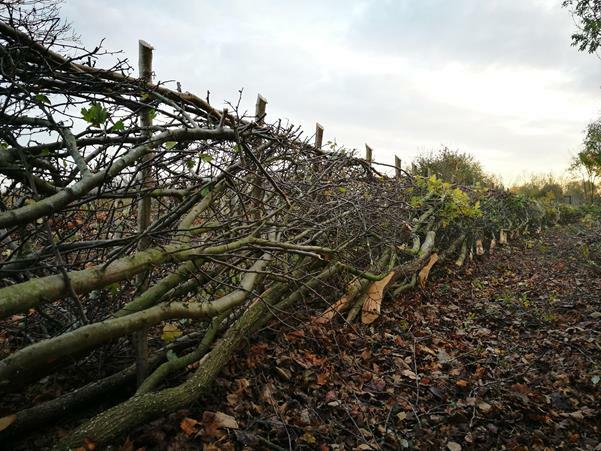 Regular visitors to Promenade Park may have noticed the hedges on the eastern most field have been traditionally “laid”, this is in preparation for the arrival of the new Saltmarsh Coast Hub. As winter really starts to bite, the Council is encouraging all residents to look after themselves, their family, friends and neighbours. The deadline for entries for the Maldon District Council Chairman’s Business Awards is fast approaching. 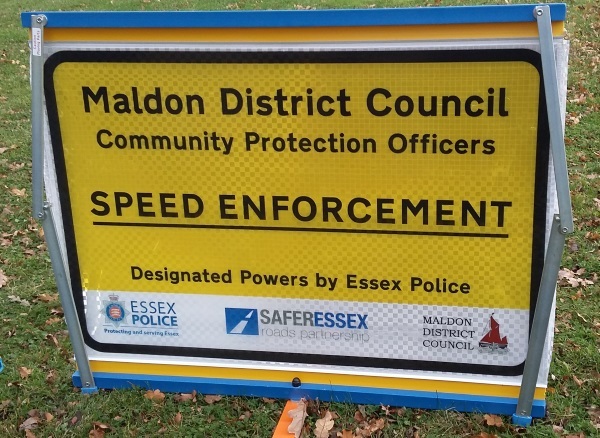 Maldon District Council is working in partnership with Essex Police to tackle speeding, accidents and irresponsible driving behaviour. 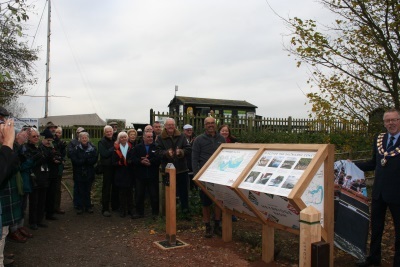 Maldon District Council is pleased to announce the official unveiling of the first two Saltmarsh Coast Visitor Information Hubs at Heybridge Basin and Tollesbury. The 2018 Discover Maldon District Calendars have arrived and are on sale now! The Maldon District calendars have been produced to showcase local photographers who have beautifully captured picturesque views through the seasons, from around the District. The Small Business Saturday campaign has chosen Maldon as one of the 27 towns/cities it is visiting as part of this year’s national bus tour and Maldon District based business Secret Hamper, as one of the top 100 businesses is being highlighted. The winners of the 34th Maldon District Conservation & Design Awards have been announced and include the restoration of an historic fire-damaged pub, the repair of a workshop at a Great War Aerodrome, and the design of a striking new house in Tollesbury High Street. 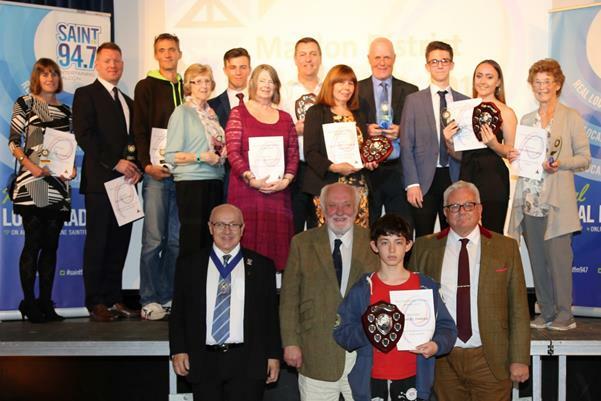 The annual Maldon District Sports Awards took place on Wednesday 25 October at Plume Community Academy. Hosted by the Maldon District Council Leisure Team and in Partnership with Saint FM. The Maldon District attracts an additional 128,000 day visitors in 2016. Last year saw a 3.5% increase in the volume of day trips to the Maldon District area, compared to the previous year, and a 4% increase in the value of those trips to the economy. The Chairman of Maldon District Council, Councillor Henry Bass, is pleased to announce the launch of Maldon District Council Chairman’s Business Awards for 2017 and invites nominations. 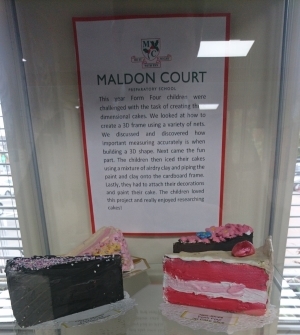 Deceptively delicious looking cakes are on display in the Council’s Exhibition Area. A letter has been sent to all residents by Bradwell Power Generation Company Ltd to provide an update on the current progress of a new nuclear power station. 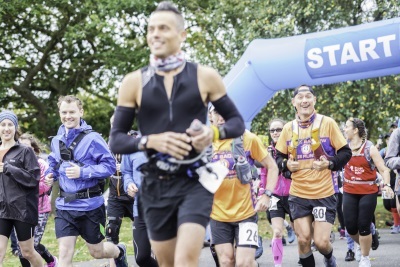 Once again walkers and runners took on the challenge of the Saltmarsh75. 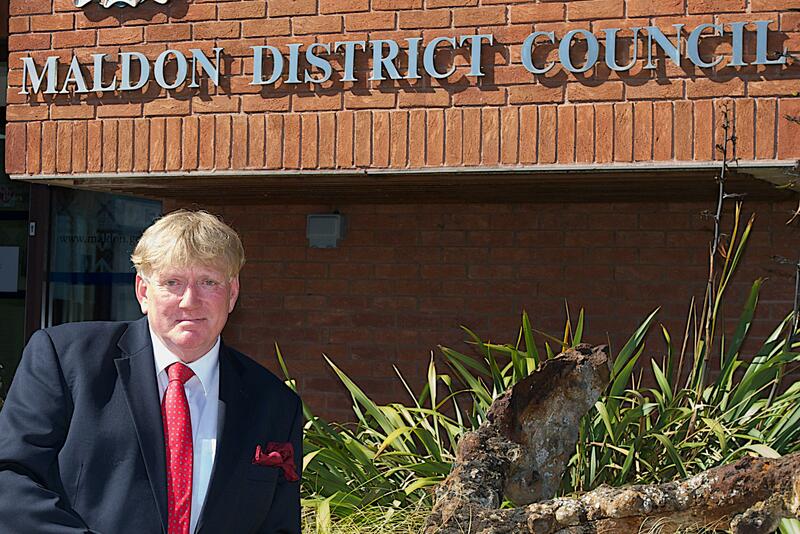 David Burrows joined Maldon District Council on 15 August as Economic Development and Partnerships Manager. Entries are now closed for Saltamarsh75 2017 and the team are getting really excited for this year’s event. Burnham-on-Crouch Town Council and Heybridge Parish Council scoop Essex Association of Local Councils awards. Maldon District Council would like to congratulate Burnham-on-Crouch Town Council who received a Special Achievement Award for their Neighbourhood Plan. A Maldon District Council spokesperson said “At Chelmsford Magistrates Court yesterday the defendants, Ms. Karen James and Ms. Charlene Nathan, each entered guilty pleas to one charge of breach of Noise Abatement Notice and one charge of breach of Enforcement Notice. Cllr Henry Bass, Chairman of Maldon District Council delivers a cheque for £1200 to the British Red Cross London Fire Relief Fund, on behalf of the generous people of the Maldon District. Burnham-on-Crouch Chamber of Commerce grows in strength as Adele Bovingdon takes the helm as Chairman. The latest very successful Burnham-on-Crouch Chamber of Commerce event took place on 13 September 2017, 7.30pm-9pm at the Royal Corinthian Yacht Club, Burnham-on-Crouch. A new roof has been added to the Queen Mother memorial shelter in Promenade Park providing shelter from the sun and rain for visitors to the park. Concerned about your Council Tax Banding? The Council has received reports in recent weeks of companies contacting residents and asking them to pay them to challenge their Council Tax band or to get a Council Tax refund. This month the Maldon District Community Safety Partnership is hosting the annual Crucial Crew event, for the benefit of 600 local year 6 school children. Maldon District Council is asking all residents to comment on a local scheme which helps low income households with the cost of their Council Tax. The Burnham-on-Crouch Neighbourhood Development Plan was made by Maldon District Council on 7 September 2017. Set to be the best year yet, the team are getting ready for the fifth annual Saltmarsh75 on the 7th and 8th of October. An election for a Parish Councillor for Heybridge West Ward (if contested) will take place on 28 September 2017. 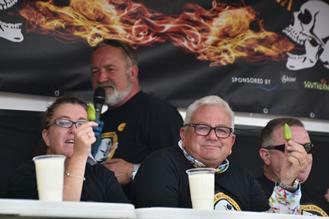 Last weekend, as part of the Smoke and Fire Festival, Cllr Mark Durham, Leader of Maldon District Council, took part in the chilli pepper eating competition. Maldon District Council’s Community Safety Team and Community Protection Officers are supporting the Herbert Protocol, named after George Herbert, a war veteran, who lived with Dementia. Renowned street artists ‘Brave Arts’ and local young people have given the Maldon skate park a cool new look. Nominations are now open for the Maldon District Sports Awards 2017 which will take place on Wednesday 25th October 2017 at The Plume Community Academy. Maldon District Council is supporting Keep Britain Tidy’s campaign, #binit4beaches to stop wet wipes reaching our much loved rivers and seas. Maldon District Council and Essex Police hosted a very successful Community Safety Information Day at the Amphitheatre, Promenade Park, on Thursday 27th July. Over 40 delegates attended the recent launch of the Essex Rural Skills Project at Stow Maries Great War Aerodrome, on 3rd August 2017. Questions about cancer? Free, cancer advice and support. Free, cancer advice and support is coming to the Maldon District from Tuesday 15 to Thursday 17 August. Tickets are still available for the Military and Flying Machines Show 12th and 13th of August 2017 from the Maldon District Tourist Information Centre or on line at VisitMaldonDistrict.co.uk. 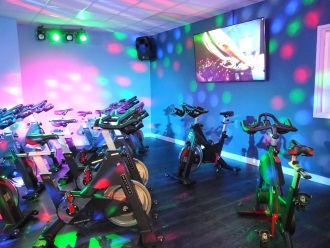 Places for People have completed the installation of a new interactive Group Cycling Studio at Blackwater Leisure Centre. 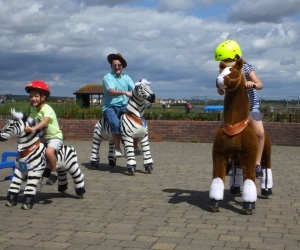 Maldon District Council is pleased to welcome two new fun and exciting additions to our summer festivities in Promenade Park. The Maldon Splash Park is now up and running to keep children cool for the summer. Street art at the Promenade Park skate park. Fancy yourself as the next Banksy? Aged 11-18? Looking for something fun to do during the holidays? On Thursday 20 July 2017 a referendum was held on the Burnham-on-Crouch Neighbourhood Development Plan. The Plan received an 87% ‘yes’ vote. The Secretary of State APPROVED the Maldon District Local Development Plan on 21st July 2017. Community Safety Partnership to prioritise rural crime and strengthening communities. The Maldon District Community Safety Partnership (CSP) has announced their five strategic priorities for 2017. The Council would like to thank the dozens of people who took the time to submit their ideas for a new visitor attraction in Riverside Park. Members and Officers from Maldon District Council are pleased to announce the launch of the Homelessness Trailblazer Project. One year on from the introduction of a new waste collection service; the results are excellent and Maldon District residents should be proud. Councillor Mark Durham CC, Leader of Maldon District Council says “there is much to do and we need to deliver, not talk about delivering” in his leader’s statement to full Council on 13th July 2017. 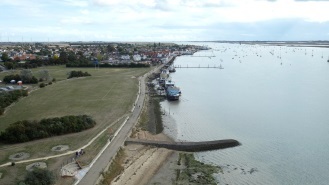 On Saturday 22nd July a brand new parkrun will launch in Burnham-on-Crouch, at the picturesque Riverside Park. 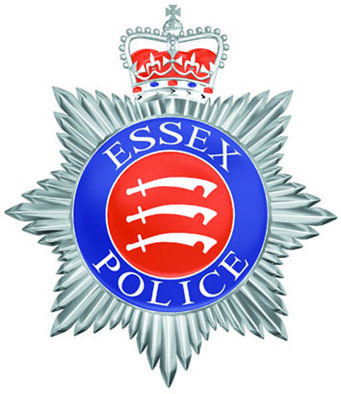 Maldon District Council joint with Essex Police are hosting a community safety information day at the Amphitheatre, Promenade Park, Thursday 27th July 10am-3pm. Keeping your wheelie bin fit for rubbish. During the summer months the prevalence of flies increases. Taking a few precautions can reduce the likelihood of getting maggots and flies in your wheelie bin. 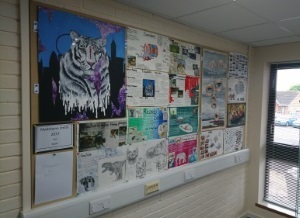 As part of making the Council Offices more engaging and community centred, visitors will now find a display of wonderful creative art and craft, courtesy of Plume Community Academy students. Statement by the Leader of the Council, Cllr Mark Durham following the Planning Inspector's conclusion that the Maldon District's Local Development Plan is sound. Maldon District Council is pleased to hear that a third local business has received a cash boost from the EU LEADER funding program. 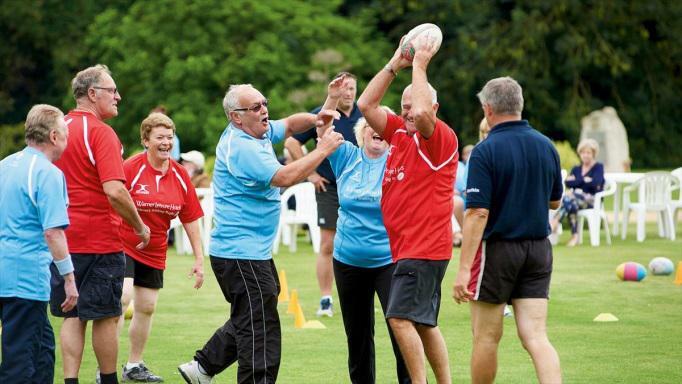 Walking Rugby Club ‘tackling’ inactivity. Walking rugby is up and running (or walking) for the community to ‘try’. ‘Celebrating Burnham Business’ event is a great success. The relaunched Burnham-on-Crouch Chamber of Commerce is continuing to grow in strength and numbers. Saturday 22nd July will see the Maldon District’s second parkrun launched at Riverside Park, Burnham-on-Crouch. 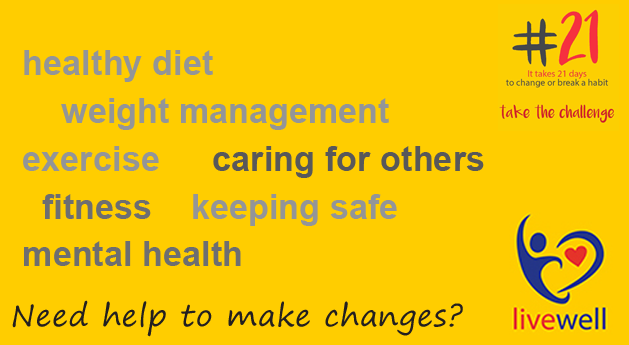 Do you want to feel more involved in your community, meet new people or make some changes to improve your health and wellbeing? 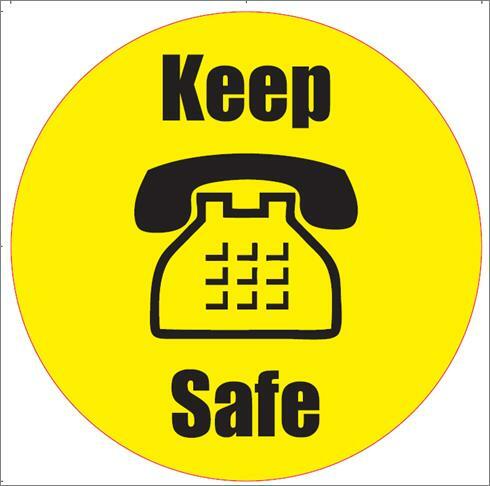 ‘Keep Safe Essex’ Celebrates Launch of New Website! Maldon District Council is supporting the launch of the brand new Keep Safe Essex website on 21st June 2017. 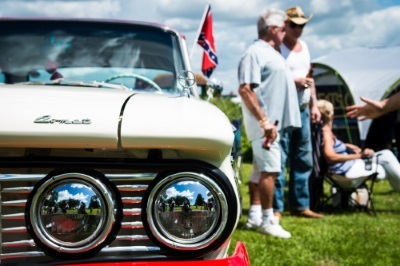 On Sunday 2nd July Promenade Park will again host the fantastic Maldon Motor Show. The first Health & Wellbeing Fair organised by Maldon District Council will be held at the Jack’s Centre in Latchingdon on Thursday 13th July 2017. 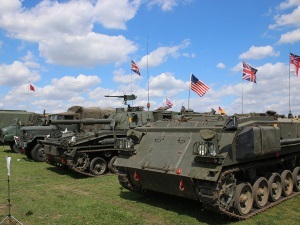 The former Great War Aerodrome at Stow Maries, Near Maldon, Essex, CM3 6RJ will once again provide a fitting setting in which we pay tribute to our Armed Forces on Armed Forces Day from 11.00am until 3.00pm. A referendum on the Burnham-On-Crouch Neighbourhood Development Plan for the Burnham-On-Crouch area will take place on Thursday 20th July 2017. 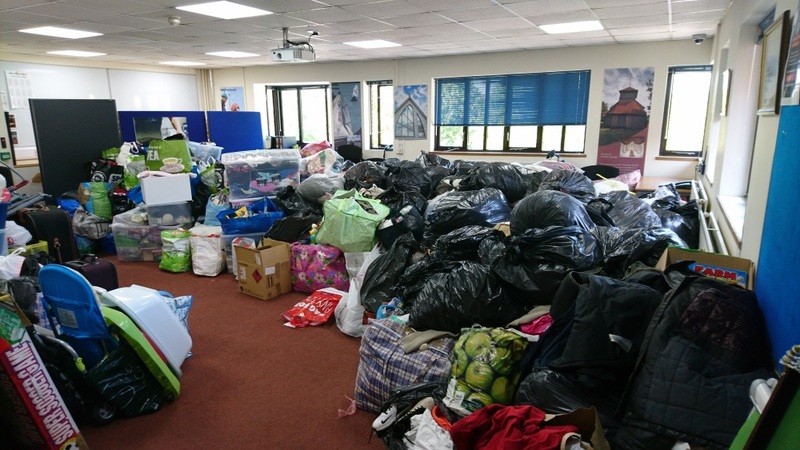 Maldon District residents donate to victims of the Grenfell Tower disaster. Following the recent success of the Burnham-on-Crouch Chamber of Commerce Re-Launch event, the Chamber is pleased to announce their first meeting 'Celebrating Burnham Business'. The Council recognises the work of local volunteers. The Maldon Stay Safe for Summer event set to take place in Promenade Park on June 7 has been postponed. New date announced soon. Saints Football Club will take all booking enquiries and requests along with the day to day management and operation of the sports pitches at Promenade Park. Residents and visitors to the county are advised they may see armed officers patrolling in places they may not usually. This Bank Holiday weekend is set to be hot and sunny and thousands of people will be out enjoying our countryside and coast. Do you want to 'TRY' Walking Rugby? Walking rugby is coming for the over 50’s to “try” and we hope to “convert” as many people into this fantastic walking sport as possible. The Independent Examiner concluded that the proposed Burnham-on-Crouch Neighbourhood Development Plan, once modified to meet all relevant legal requirements, should proceed to referendum. With just over a week to go until the deadline to register to vote in the general election, Maldon District Council is urging residents to make sure they are registered in time. Essex Outdoor Cinema returns to Maldon District. Get ready to roll out the red carpet and the picnic blankets. Notice of Election - UK Parliamentary election for the Maldon constituency. The Council’s Corporate Plan 2015 - 19, which includes the Council’s vision, goals and core values has been updated for 2017/18. Calling all would-be volunteers and organisations looking for volunteers. Your community needs you! Friday 28th of April was ‘on your feet Britain’ day, encouraging workers across Britain to participate in a variety of fun and simple activities to sit less and move more at work. The annual public meeting is to be held on Thursday, 18 may 2017 commencing at 7.30pm at the Blackwater Sailing Club, Basin Road, Heybridge Basin, Maldon, CM9 4SD. 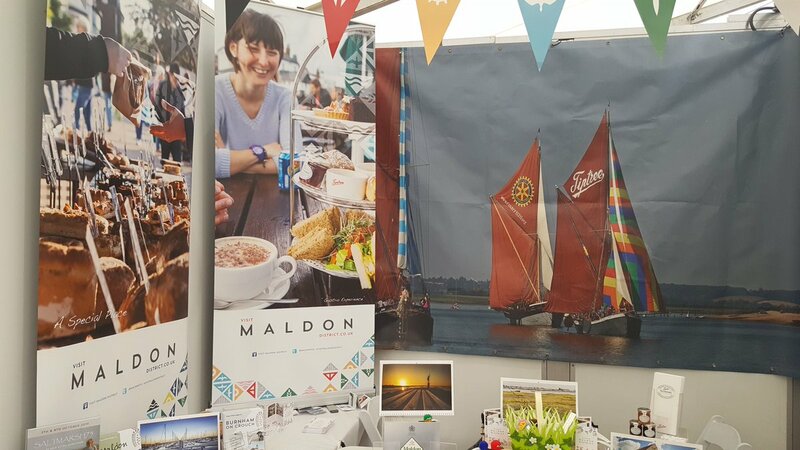 This weekend saw the stunning Tall Ships Festival in Greenwich and the Maldon District’s Tourism and Economic Development team where there. The Council is pleased to welcome the Smoke and Fire Festival to Maldon’s Promenade Park on 19th & 20th August 2017. The ‘Keep Safe’ scheme sees local shops and businesses agreeing to become ‘safe havens’ for vulnerable people, with their staff offering support should they find themselves in difficulty. The Maldon District announced as one of Britain’s best rural places to live. According to the 2017 Halifax Rural Areas Quality of Life Survey; the Maldon District is the third best rural place to live in the East of England and number 23 overall. Last weekend’s re-launch event for the Burnham-on-Crouch Chamber of Commerce was a great success. Community Group, ‘Maldon Refugee Response’, has been formed to raise emergency funds to support the resettlement of refugee families. 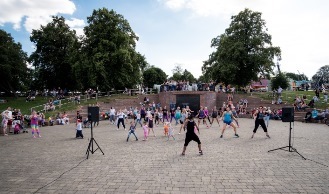 Maldon District Council and Places for People Leisure are celebrating their second year, working in partnership, supporting leisure and healthy lives in the Maldon District. The Council can advise that the following Government funding has been confirmed for 2017/18. Election of County Councillors for the Electoral Divisions of Heybridge and Tollesbury, Southminster and Maldon. The Environment Agency will be undertaking repairs to flood defences along the River Chelmer at The Granaries, Maldon. Eagerly anticipated public consultation for the Maldon and Heybridge Central Area Masterplan has commenced. The draft Maldon and Heybridge Central Area Masterplan is now out to public consultation for 6 weeks from Monday 20 March to Friday 28 April. Voters in Essex have just one month to make sure they are registered to vote in May’s county council elections. Local businesses are being advised by to check their new rateable values from 1 April 2017 by visiting the Valuation Office Agency website. Families are invited to take part in a led-walk around the countryside starting at 10am on Thursday 13 April from the Blackwater Leisure Centre. Are you a voluntary or community organisation in the Maldon District and do you need funding? As part of the Dengie Gateway Project, Maldon District Council are scoping the exciting proposal to install a large traditionally rigged sailing mast in the Council owned Riverside Park. Super Mumma Fitness returns to the Prom for 2017! After a very successful 2016, tailor-made post-natal exercise classes return to the Promenade Park in Maldon on Friday 3 March. The Council will continue to offer free food waste caddy liners to residents to support recycling and reduce landfill. 16 lucky families will receive free Gold Package* tickets with all day access to a beach hut, two all day wristbands for the Splash Park and free parking. An AED (defibrillator), along with a protective housing cabinet, purchased by Maldon Parkrun with a contribution from Maldon Saints Football Club, has been installed in Promenade Park by Maldon District Council. Notice of result for the uncontested election - Heybridge West Ward. A co-ordinated approach to Maldon’s new Community Health Hub is taking shape. Maldon District Council and the Community Safety Partnership invite you to complete the resident’s safety questionnaire and tell them what concerns you and your family. Saturday 25th February 2017 will see the Maldon Tennis Club “return” to the Promenade Park tennis courts. The club has “set” up an open day which will take place between 2pm and 4pm. Maldon District Council is working in partnership to support our local fire stations to recruit new on-call firefighters. From 31 January 2017, a member of the Essex Lifestyle team will be based at Maldon District Council’s offices every Tuesday. 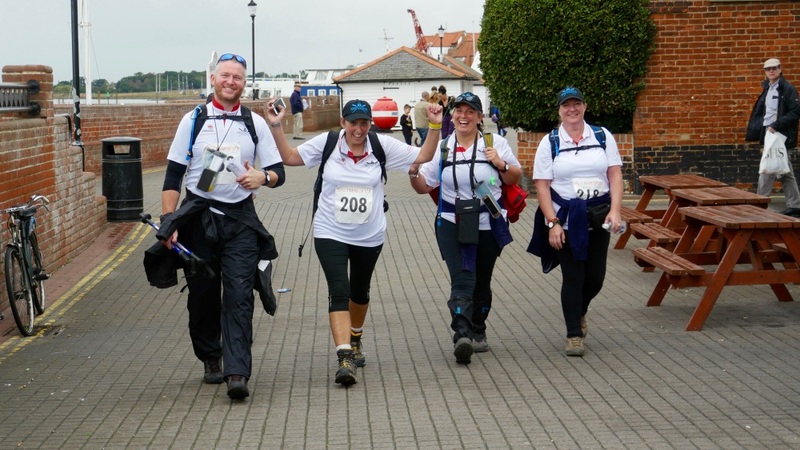 The Saltmarsh75 Team have opened up entries for this year’s event which sees participants take on the full 75 miles of the Maldon District coast line in just one weekend. The local community group, Friends of Prom Park need your votes in the Tesco ‘Bags of Help’ Grant Scheme to put a roof on the Queen Mother memorial shelter in Promenade Park, Maldon. 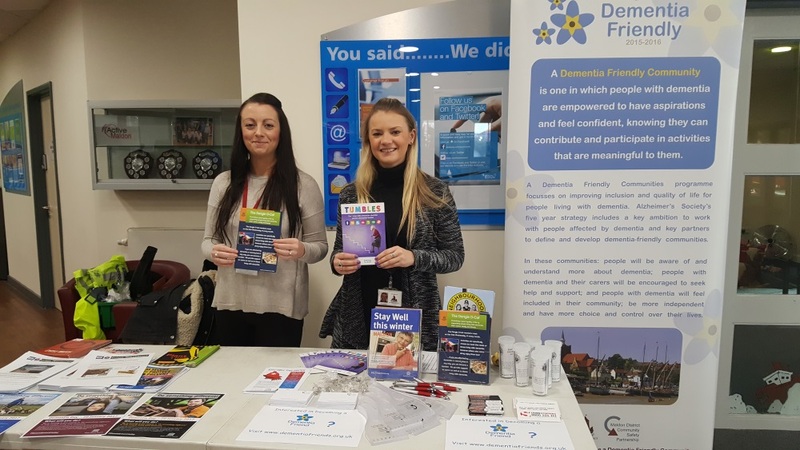 Last Friday Maldon District Council supported Essex Dementia Day by holding a pop-up information and advice stand at the Blackwater Leisure Centre. Maldon District Council is supporting Essex Dementia Day on Friday 20th January 2017 with a pop-up information and advice stand at the Blackwater Leisure Centre, Maldon from 9am to 12:30pm. 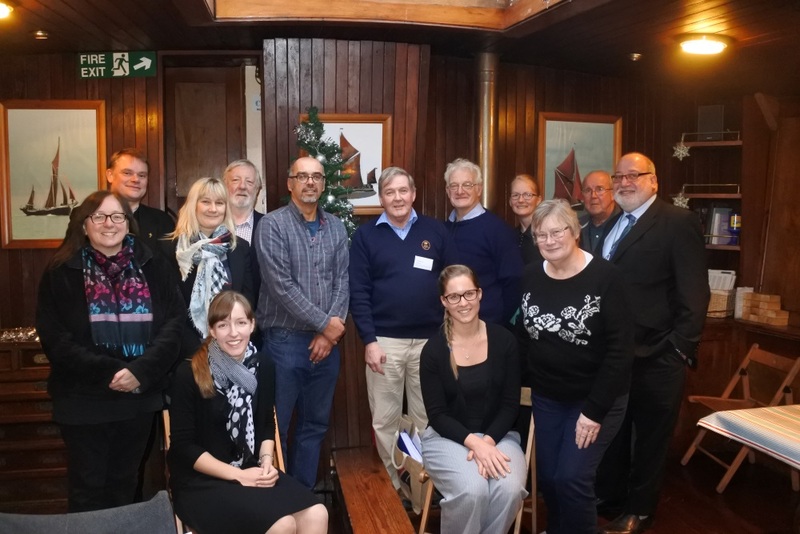 On December 21st 2016 the first joint meeting of the Maldon & Blackwater Estuary and the River Crouch Coastal Community Teams (CCTs) took place on Thistle Barge, Hythe Quay, Maldon. The hearing statements are now available. Council officers have raised a total of £1566.16 for chosen charities, including, Clarkes Farm Greyhound Rescue, Cancer Research UK, War Child and Lupus UK. Maldon District Council has endorsed a new report into the level of Gypsy and Traveller accommodation. Over the last year Maldon District Council has been very busy delivering the progressive Dengie Gateway Project. 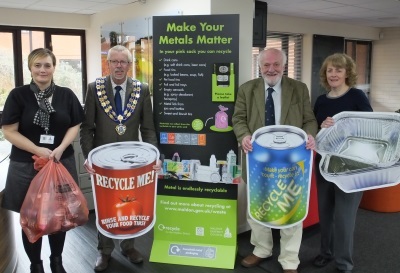 Maldon District Council launches – #IfIcan ‘you can’ campaign! The #IfIcan ‘you can’ campaign will launch on Monday 9th January to encourage residents to be more active, supporting each other and challenging the barriers of inactivity. Council planning officers win more prestigious awards. New telephone payment line – huge success! A 24hour payment line launched in September has been a huge success, says Maldon District Council. The new adventure golf course in Promenade Park will close briefly in early 2017 to undertake improvements to its playing surface and playability. The Xplorer launch date in Burnham-on-Crouch is Monday 12th December 2016 and the festive Christmas themed course offers physical activity and enjoyment for all the family from pre-school upwards. The Saltmarsh75 Team have released the first official video from this year’s Saltmarsh75 event. On Tuesday 3rd January 2017, families are invited to participate in a led walk around the Maldon area, starting from the fullbridge Tesco store at 10am. The Chairman of Maldon District Council, Councillor Peter Elliott, is pleased to announce the launch of the Maldon District Council Chairman’s Business Awards for 2016 and invites nominations. 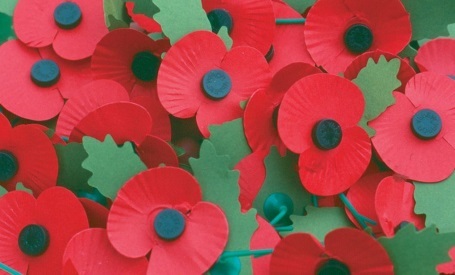 Maldon District Council will be supporting the Royal British Legion’s campaign for a Two Minute Silence at 11am on Friday 11 November 2016. NOTICE IS HEREBY GIVEN under Section 87(2) of the Local Government Act 1972 that a casual vacancy exists in the office of District Councillor for the MALDON WEST WARD of the District of Maldon. 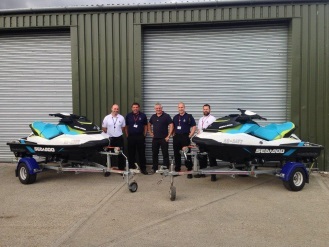 A new initiative to improve water safety by Maldon District Council has been a great success. On Sunday 16th October the Maldon District Council and its partners staged a mock flooding event in Heybridge to test its preparedness for emergency events. Since the introductions of a new waste contract operated by Suez on 6 June, the latest performance data has shown that the service has clearly settled into a much improved routine and is seeing our new collection service going from strength to strength. The BEST Growth Hub aims to help your business to identify and realise its potential with free business support for growth. 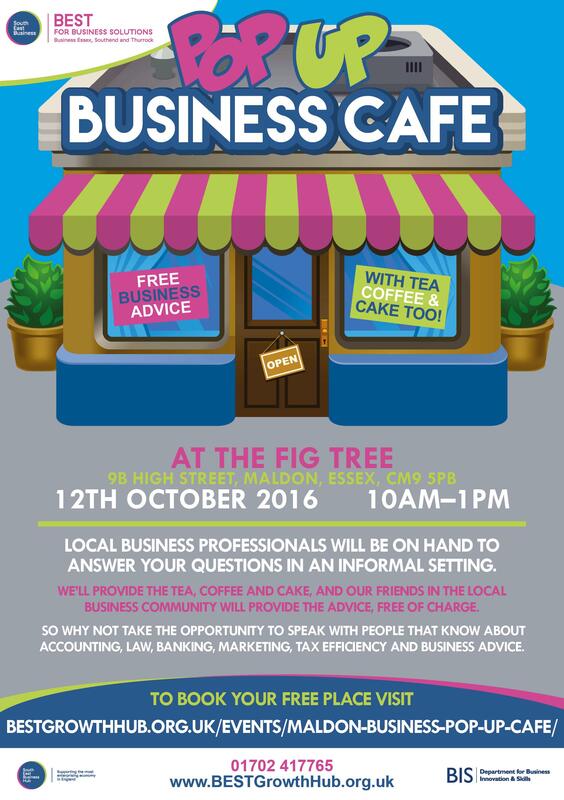 12 October 2016, 10am – 1pm Come and join us! 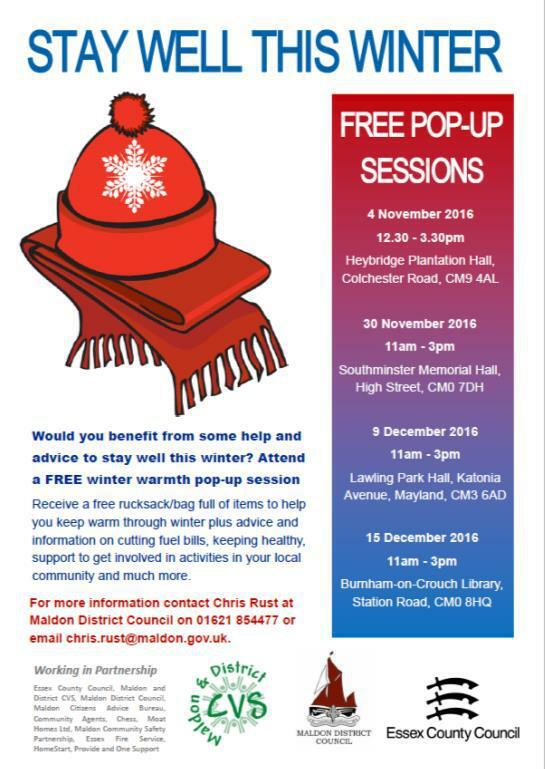 A new Winter Warmth partnership aimed at helping vulnerable residents this winter is offering free drop in sessions, advice and more starting in November. Maldon District Council is consulting on a proposal to designate a conservation area in the village of Woodham Walter. 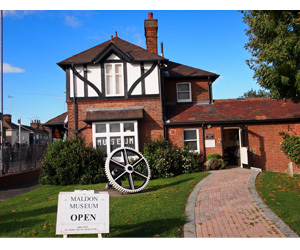 Free entry to the Maldon District ‘Museum in the Park’ on bank holiday Monday, 29th of August. The Maldon District Museum, known as the ‘Museum in the Park’ for its position in Promenade Park, is free on Monday, 29th of August. Chico’s BlockFit Party a great success! Election of a Parish Councillor, Heybridge West Ward. Buggy Boot Camps a great success at the Prom!!! Maldon District Council’s waste and recycling team will be on hand at Tillingham Flower Show on Saturday 23 July to answer any questions residents may have about the new waste and recycling collections. Maldon District Community Safety Partnership is currently looking to re-design the Riverside Park Skate Park Wall in Burnham-on-Crouch with input from the local community. Residents respond to the new arrangements with great enthusiasm. The Council's draft statement of accounts for the year end 31 March 2016 have now been published.